“Come up with a budget—and stick to it.” It’s tried-and-true advice, but crafting that initial budget can be a confusing, overwhelming process. It doesn’t have to be, though. 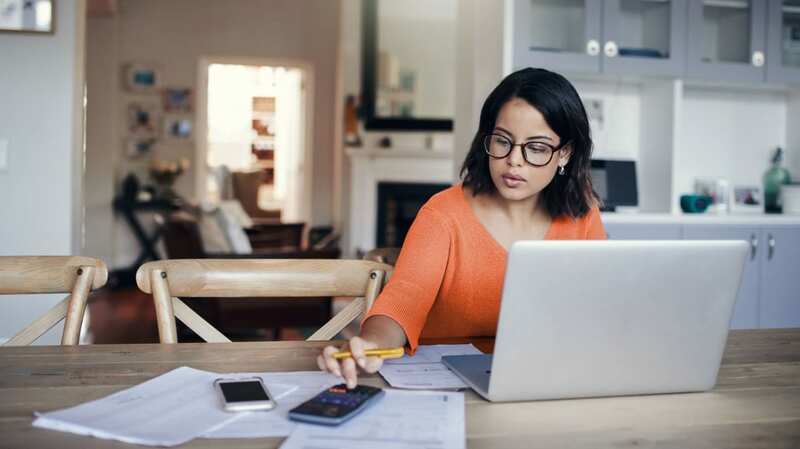 If you’re taking your first crack at building out your budget, there are some rules of thumb you can follow to help you avoid some common pitfalls. 50/30/20 budget: With a 50/30/20 budget, 50 percent of your take-home pay goes toward essentials, like housing and bills. Thirty percent goes to your money goals, such as paying off debt or saving for retirement, while the remaining 20 percent is your “fun” money, and can be used for discretionary expenses like entertainment. That’s just a starting point, of course, and you can tweak the formula. For instance, maybe you’re more comfortable with a plan in which 70 percent of your income goes toward your necessities and savings goals, while 30 percent is allocated toward your “fun” bucket. The important thing is finding a budget that’s comfortable for you and gets you closer to your financial goals. Zero-sum budget: With a zero-sum budget, every dollar you take home gets assigned a “task” and is accounted for. Some dollars pay the rent, others cover food, and some pay the bills. But you keep tabs on all of them. When there’s extra cash at the end of the month, you can assign it to your savings account. Anti-budget: This approach starts with paying yourself first. In other words, you’ll want to save for your goals first, whether that’s saving for that epic road trip or toward moving into a new place. When you get your paycheck, immediately transfer part of it into a savings account. Once you’ve set aside everything you need to save for, the rest you can spend responsibly on your bills, necessities, and entertainment. If you’re a newbie, keep your budget as simple as possible. If you’re feeling stuck, begin by designating a dollar amount for each “bucket” or spending category. Stick to one approach and see how it goes. It’s easy to get overwhelmed by all the options out there, but the important thing is to get the ball moving. Your expenses should include both recurring, fixed expenses, and one-off anticipated expenses, such as annual subscriptions, memberships, and insurance you pay for once a year. For one-time expenses, divide each total by 12 to include that into your monthly budget. That’ll give you a more accurate picture of your overall finances. Plus, by planning ahead like this, you won’t get blindsided when an annual bill comes in the mail. Creating a budget is one thing, but sticking to it is an entirely different matter. No matter how carefully you assemble your budget, it probably won’t be perfect on your first try. Luckily, you can adjust it as needed. Monitor your spending to see if the percentages and buckets you created make sense for you. You’ll also want to tweak it after there’s a change in your lifestyle; for instance, adopting a pet or moving to a new city and adjusting to a new cost of living. Or maybe you’re really getting into a new hobby. Whatever the case, you can adjust accordingly. Remember that a successful budget will be a reflection of your life. You’re always changing, and your budget may need to follow suit. You’re free to experiment with different approaches. Some people find it’s best to review and alter their budget every month. Ideally, you should check in on your spending every week. If that’s unrealistic for you, aim to check in once a month. 5. GIVE YOURSELF SOME BREATHING ROOM. Sticking to a budget doesn’t mean you can’t have any fun or that you can never treat yourself to something nice. While being judicious with your spending is key to improving your financial health, never making a fun purchase just isn’t realistic. To balance keeping your money goals top of mind and enjoying life, plan for some frivolous fun on occasion. The key here is to plan for these splurges you’ve saved for so you can fully enjoy them without feeling like you’re breaking your budget. You’ve earned it! Whatever budget you tailor for yourself, spending is inevitable. Luckily, there are responsible ways to spend and earn at the same time. With Cashback Match, Discover will match all the cashback you earn at the end of your first year as a cardmember automatically. Terms apply. Learn more at Discover.com.